The transactional memory programming paradigm is gaining momentum as the approach of choice for replacing locks in concurrent programming. 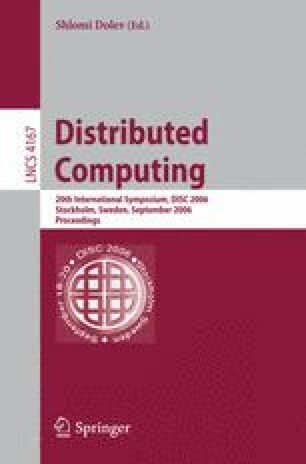 This paper introduces the transactional locking II (TL2) algorithm, a software transactional memory (STM) algorithm based on a combination of commit-time locking and a novel global version-clock based validation technique. TL2 improves on state-of-the-art STMs in the following ways: (1) unlike all other STMs it fits seamlessly with any system’s memory life-cycle, including those using malloc/free (2) unlike all other lock-based STMs it efficiently avoids periods of unsafe execution, that is, using its novel version-clock validation, user code is guaranteed to operate only on consistent memory states, and (3) in a sequence of high performance benchmarks, while providing these new properties, it delivered overall performance comparable to (and in many cases better than) that of all former STM algorithms, both lock-based and non-blocking. Perhaps more importantly, on various benchmarks, TL2 delivers performance that is competitive with the best hand-crafted fine-grained concurrent structures. Specifically, it is ten-fold faster than a single lock. We believe these characteristics make TL2 a viable candidate for deployment of transactional memory today, long before hardware transactional support is available.